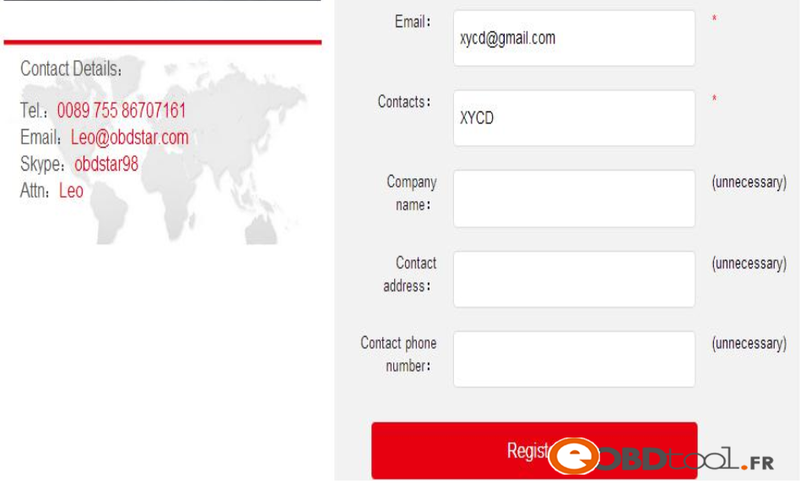 Click ”Sign up” to fill in user information, Username can be English characters or the combination of alphabet and numbers. 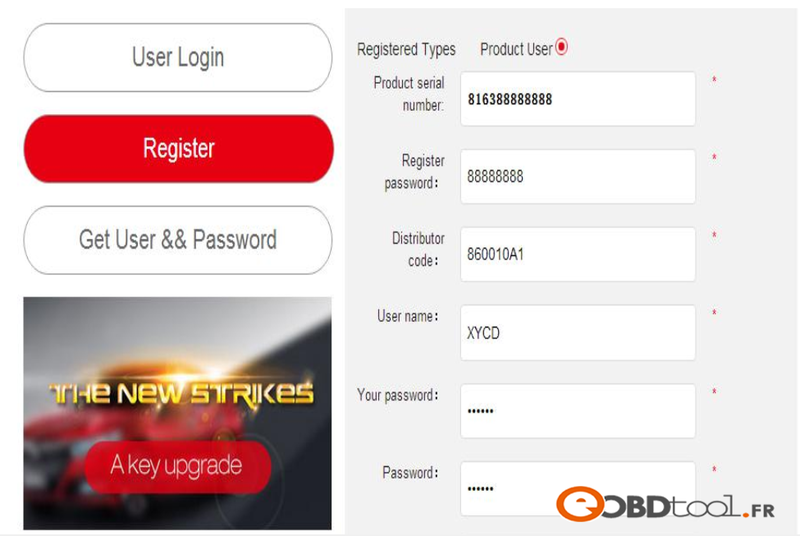 For distributor code, please refer to your distributor for more details. Step 1: Remove the TF card from your device. Insert your TF card into computer. Step 2：Open update tool and login. Step 3: Click the source menu, choose the software you want to update, click it and confirm. Step 5: Wait for several minutes then the updating finished. This entry was posted in OBDSTAR and tagged h100 ford scanner, obdstar h100, obdstar h100 scanner on January 4, 2018 by sales.